1.Start off with draining and rinsing the kidney beans, then toss them in a bowl or tupperware. 2.Mix in your diced bell peppers, onion, and parsley. 3.Drizzle the olive oil and mix well. 4.Add desired amount of lemon. I love lemon so I will use two or more lemons. 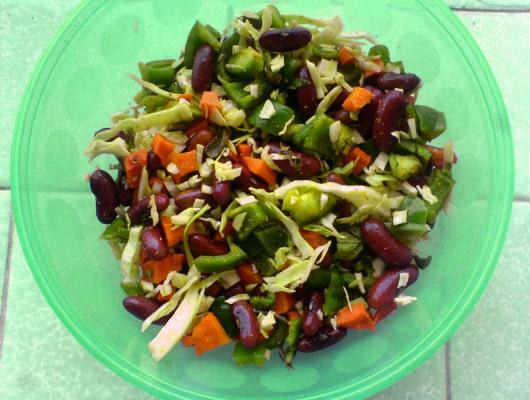 kidney bean salad recipe is an easy, healthy salad or side dish. This salad is delicious and makes a great lunch. This salad is gestational diabetes friendly as well. This salad is perfect for hot weather. So try this tasty kidney bean salad.